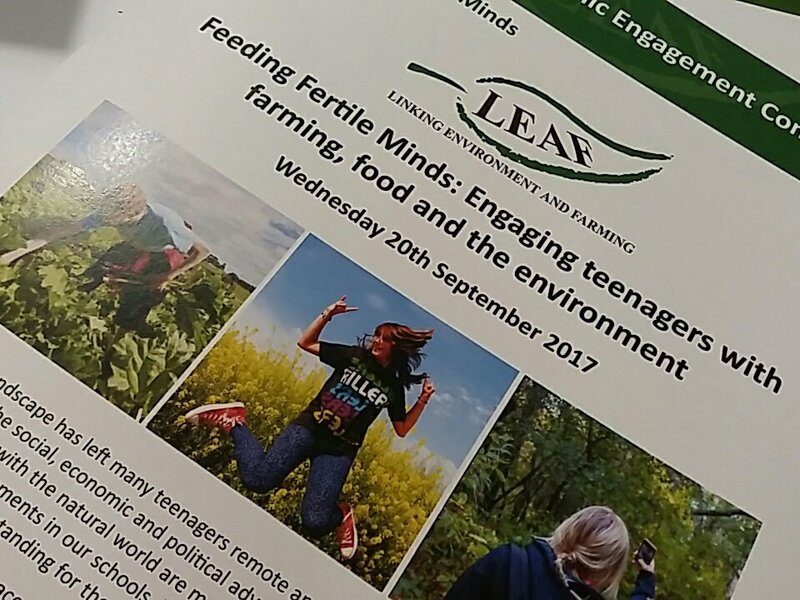 Visit this page on 20th September 2017 for all the latest discussions, views and debate at LEAF's Education and Public Engagement Conference. This live commentary will commence at 11am on 20th September 2017. The stage is set for the start of LEAF's second Education&Public Engagement conference. Welcome to the live commentary on today's event. 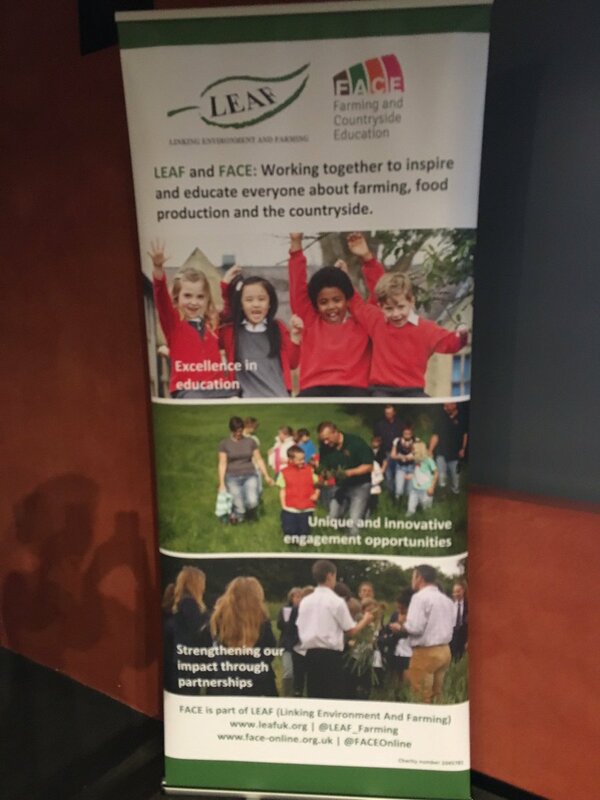 LEAF Chief Executive, welcomes delegates to the conference and sets out LEAF's agenda for delivering inspiring ways to engage everyone with farming, food and the environment. Iris Schonherr, New Citizenship Project explains that helping teenagers 'believe' they can make a difference and change the world starts with building their confidence through channels they can relate to - through for example volunteering. Teeangers should be encouraged out of 'clicking' mindset to 'doing' activities. 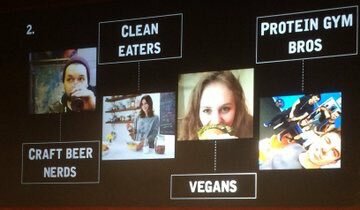 Iris highlights work from the Food Citizenship Project - how thinking ourselves differently can change the future of our food system. Shifting from Consumer to a Citizenship mindset. How can we nourish peoples relationship with food rather than 'sell' it. Helping people realise they can co-create/shape policy. This mindset shift is fundamental to our food system. A single shift in framing from consumer to citizen is extremely powerful. 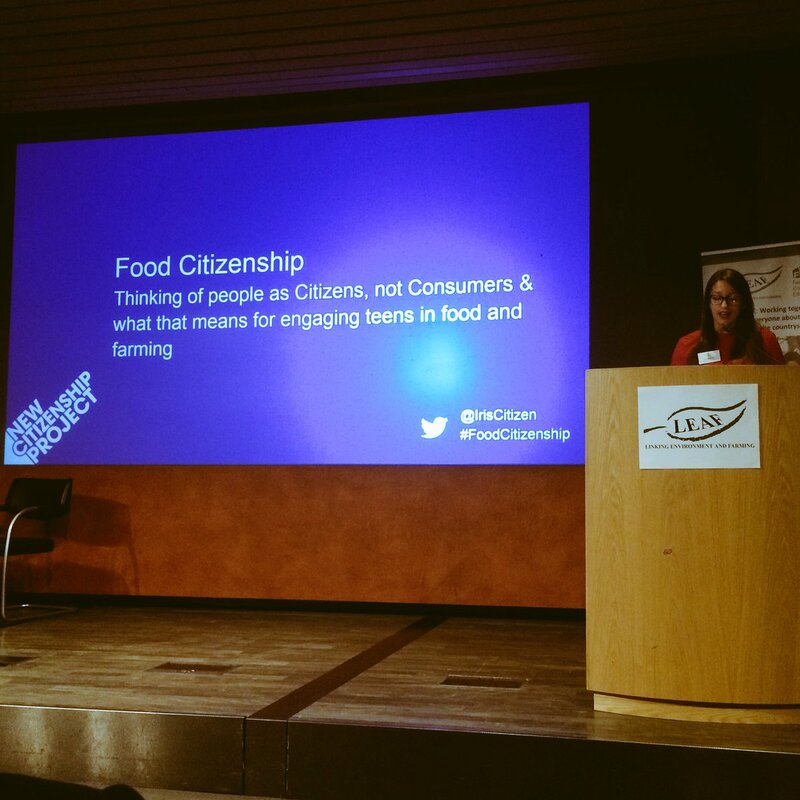 The citizenship mindset - people are citizens, we can shape the food system, we participate and create, not just choose. 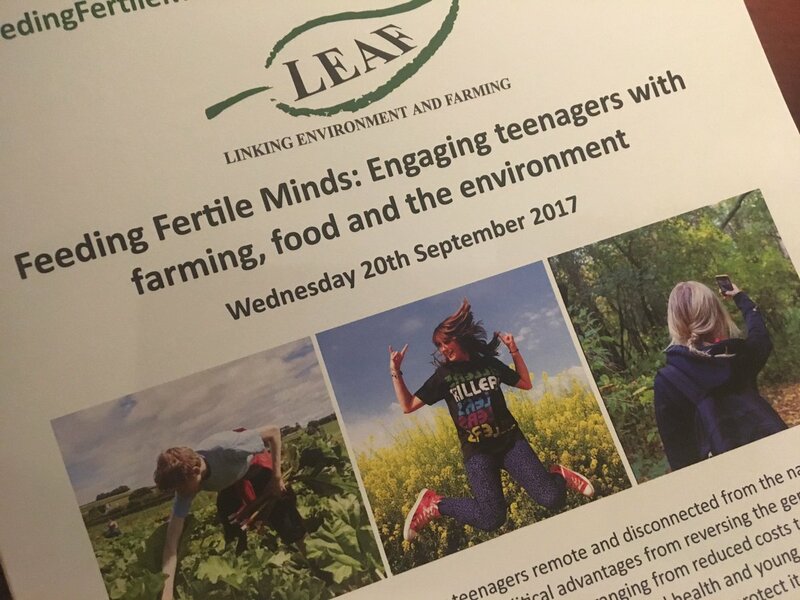 How can we think about our role to INVOLVE teenagers in helping to shape our food system. Open Farm Sunday is a fine example of how engage people with food and farming. However, we need to evolve Open Farm Sunday with an INVOLVING mindset. 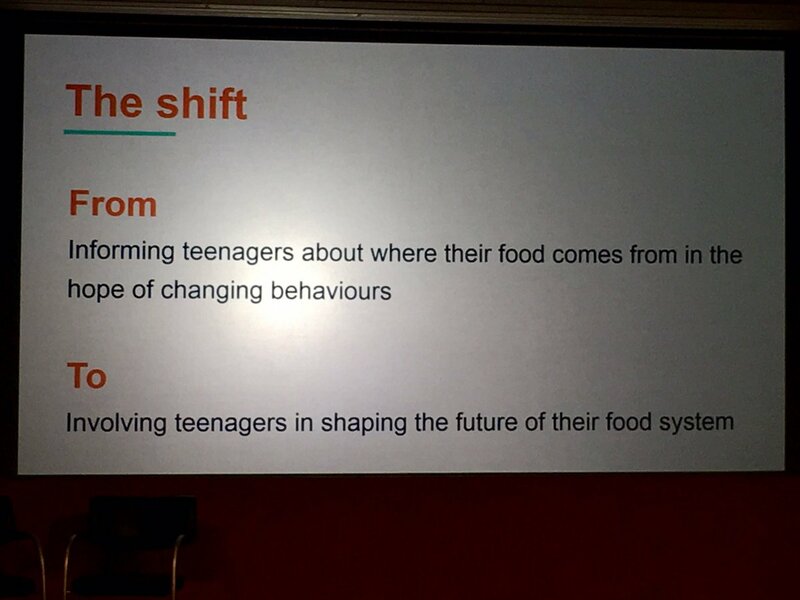 In summary, the shift - from INFORMING to INVOLVING teenagers in shaping the future of their food system is key to bringing about meaningful changes in the way our young people engage with farming, food and the natural environment. 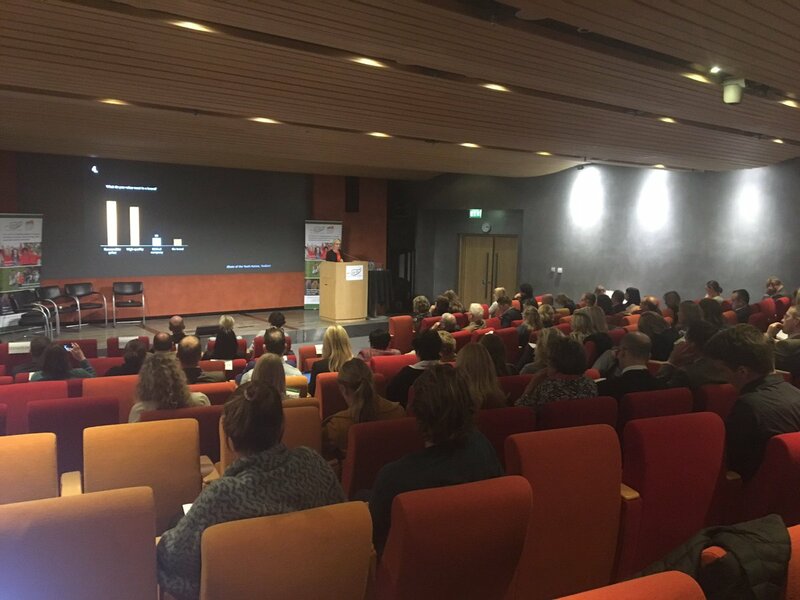 Caroline Drummond, LEAF Chief Executive welcomes LEAF Honorary President to second Education&Public Engagement conferences. Sets out how the opportunities involved in LEAF's merger with FACE. 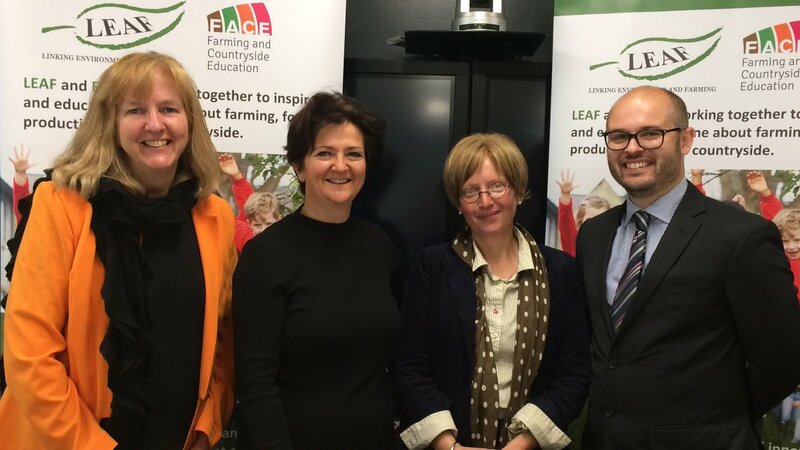 Brought together wonderful skills of the farmers that we work with on Open Farm Sunday with FACE's work in teacher training, their network of Regional Education Consultants and the many educational resources they offer, including Countryside Classroom. Now is the time for us to 'turn up the volume'. We are now looking to strengthen our public engagement activities, working with cutting edge farmers. To embed knowledge understanding and appreciation of farming into everyday life - is LEAF'sguiding mission. Key priority is to pursue excellence in education. We need to unite and build upon the capability and strengths of LEAF and FACE. 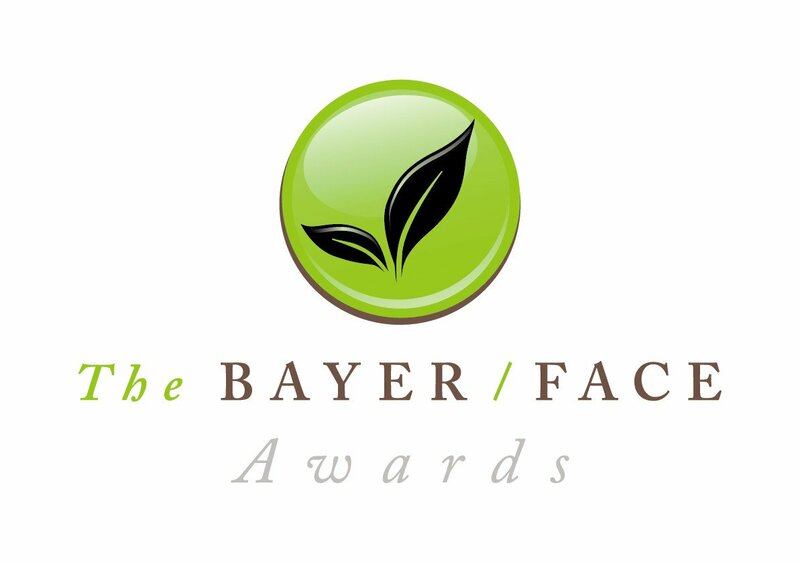 What is our big goal: to embed a lifelong love, appreciation and understanding in farming, food and the environment. 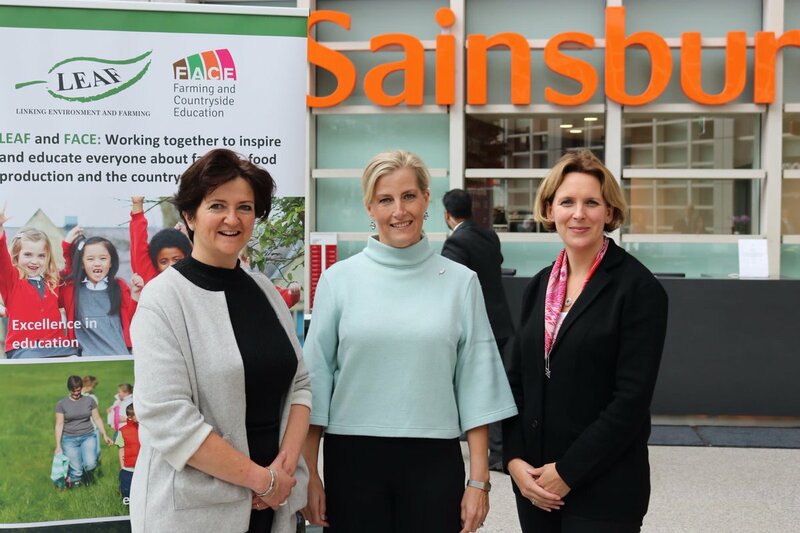 Sarah Blanford Sainsburys highlights how Sainsburys is working with young people through apprenticships and scholarships, both here in UK and overseas to provide career opportunities in the sector. 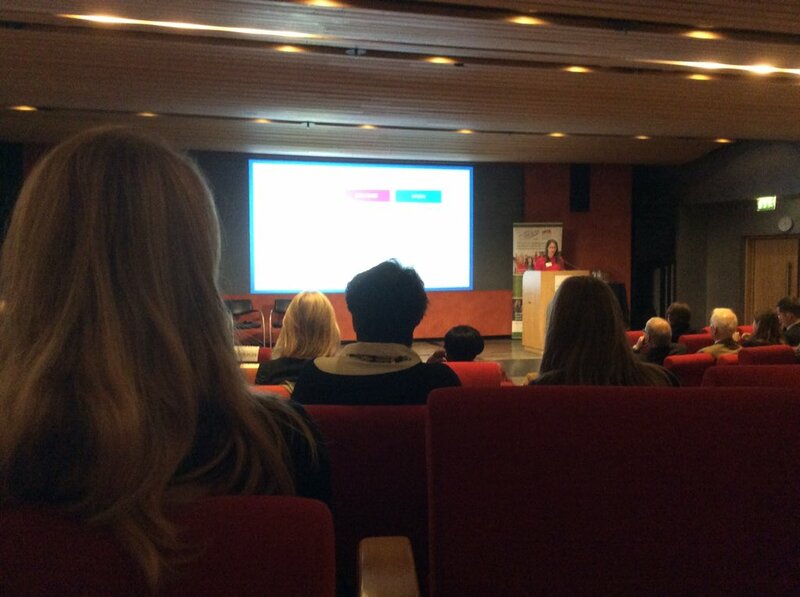 Catherine Ayres, Youth Programme Officer, Wellcome Collection outlines key learnings from the RawMinds summer project 2017. Question central to project - What does nature mean to you? RawMinds project worked with 14to19 year olds, who were all consulted prior to the project so it was led and directed by their interests. Essentially, it was a film making project exploring young people's relationship with nature. 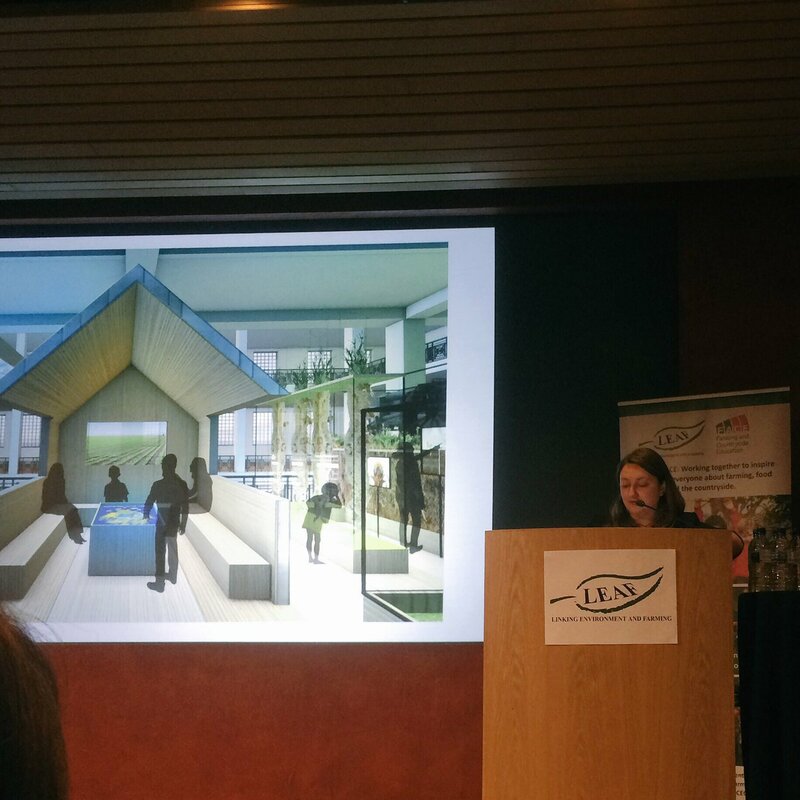 The project was a residential camp, providing teenagers opportunity to get outside London. Challenged the idea of young people always linked o technology and the film documented their experience and their thoughts on getting into the natural world. Teenagers reported that being off social media was very 'freeing'. 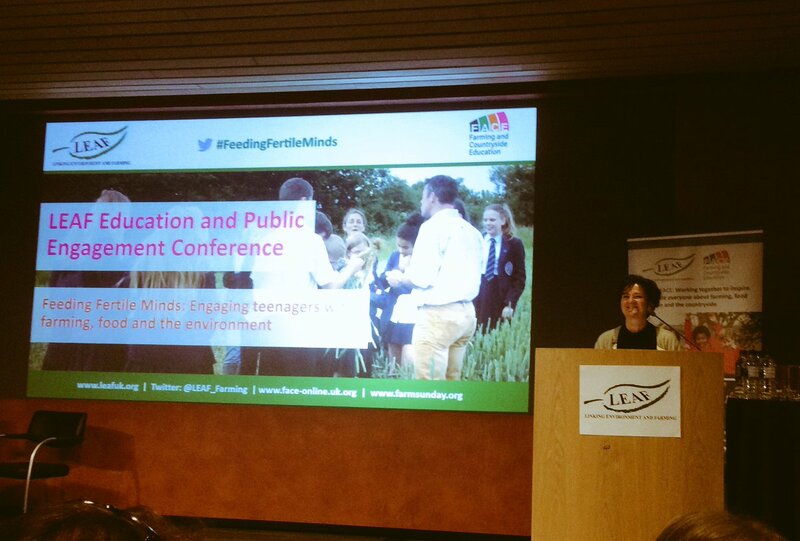 @LEAF_Farming @ExploreWellcome #rawminds programme had impact so how can it be extended? opportunity for #corporate funding to engage #kids? Opportunities for meeting other young people - the fun and social aspect, facilitating a sense of engagement. 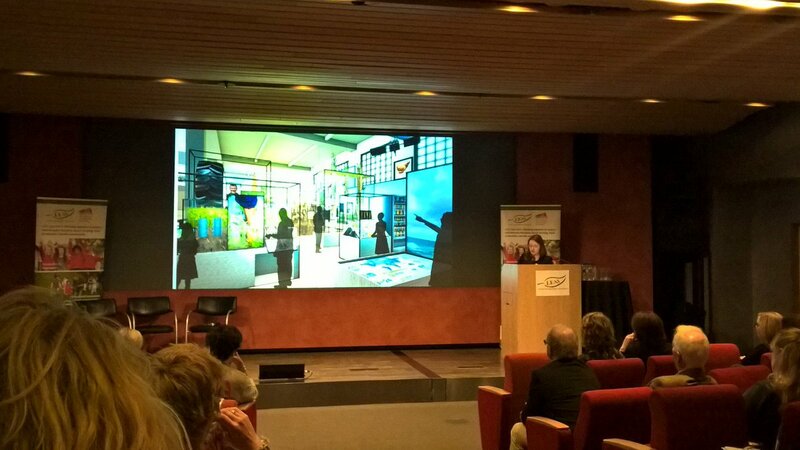 Sinead Marron, Science Museum provides key insights from the museum's research and activities. 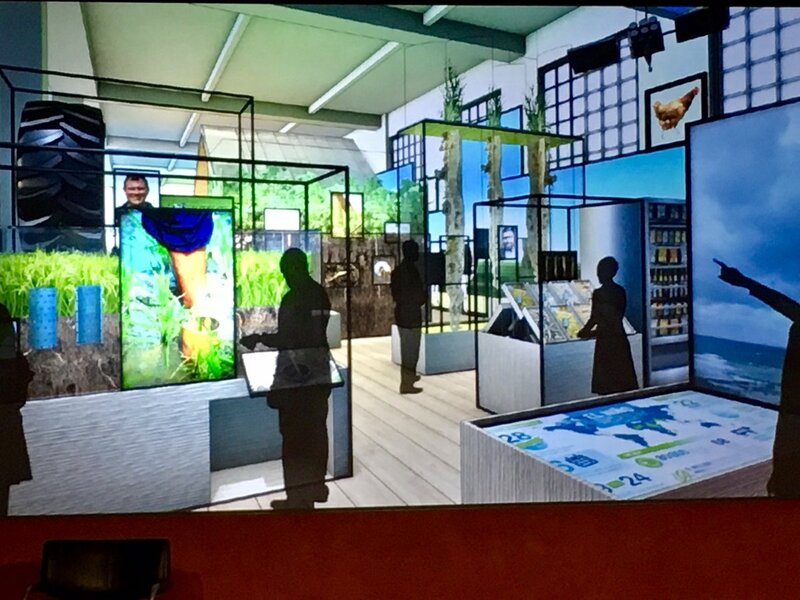 New farming gallery being worked on currently focusing on balance between growing enough food for growing population whilst addressing global environmental challenges. The gallery will focus on different technological approaches to food production. Target audience for gallery is families, young adults and school groups. Lack of Trust - going straight to the farm - they trust farmers. Teenagers gravitate towards Digital, social experiences, unique experiences and seating areas! 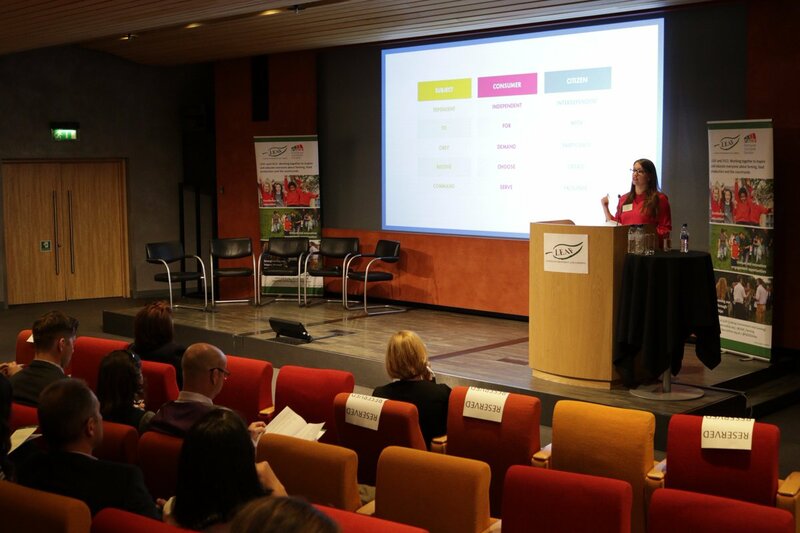 Jane Mackey, Research Manager, YouthSight talks about top ten youth food trends. Veganism is blossoming. 524,000 is UK are vegans and 42% are aged between 15 and 34. Veganism is now regarded as mainstream and it is being seen in much broader terms (health, environmental benefits). It has also become easier to be a vegan. Origins of food very important to young people. 55% of young people happy to pay more for ethically produced food. However, price is still the primary driver. Instagramming is hugely popular 69% of millenials take picture of their food before eating it. 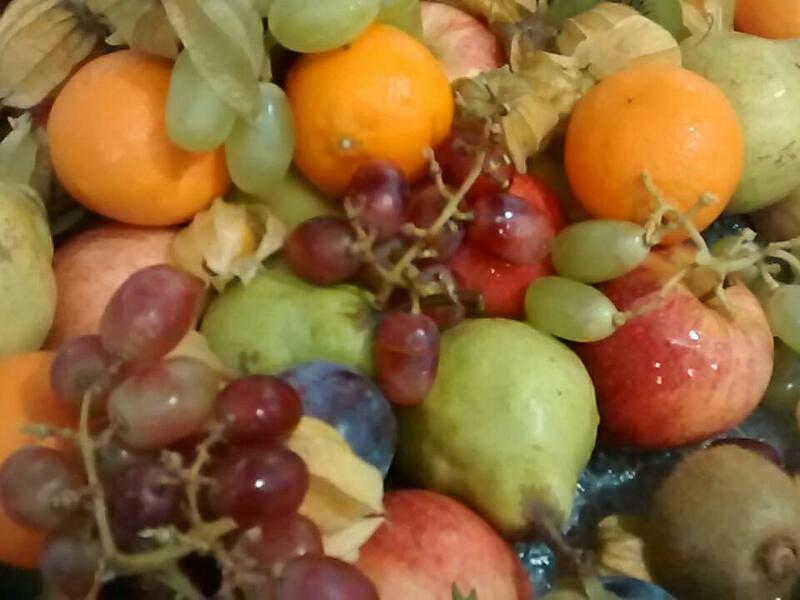 #FeedingFertileMinds conf asks "which food tribe do you belong to?" 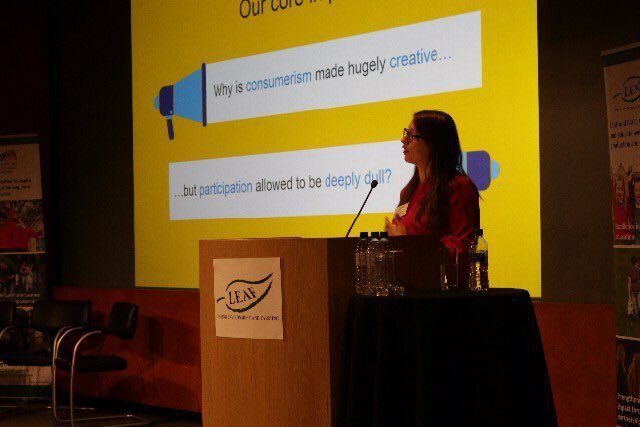 Jane Mackey continues: Consumer is king. Young people are accustomed to getting what they want immediately. 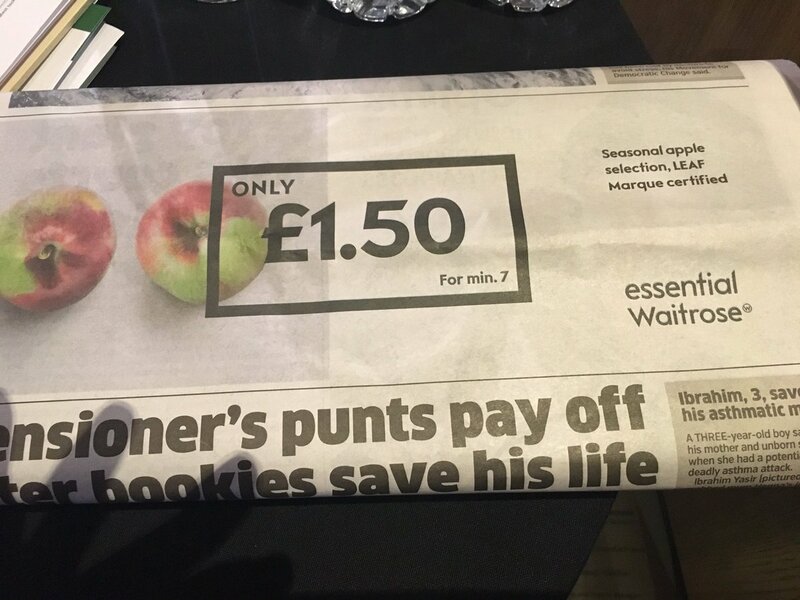 We are seeing things follow through in food industry ie. deliveroo, UberEats, JustEat. Young people are becoming very demanding customers. Classics are on the way out. Retro is on the way up. Pizza, curry, pasta, burger, steak and chips - top 5 most loved foods among young people. Nostalgia marketing resonates well with young people. If we can still appeal to young people with classics but with a nostalgia element, works well. 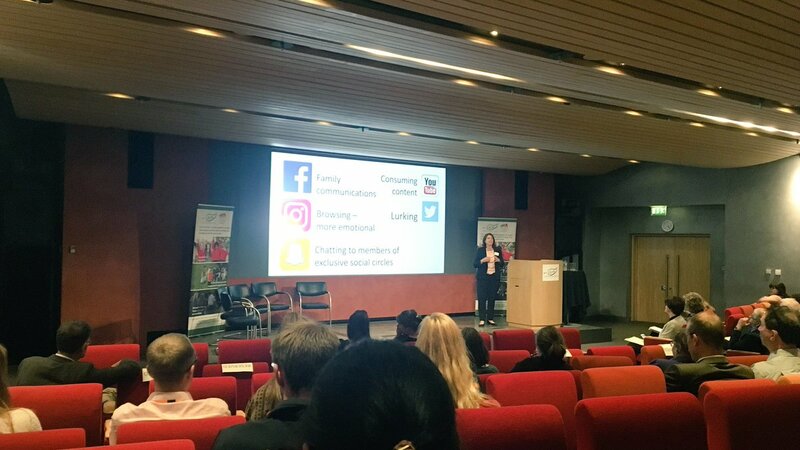 Exciting time to be talking to young people about food and presents huge opportunities for the farming industry. Food is seen as part of their personality and how they define themselves. Huge opportunities to reach out to young people through food. 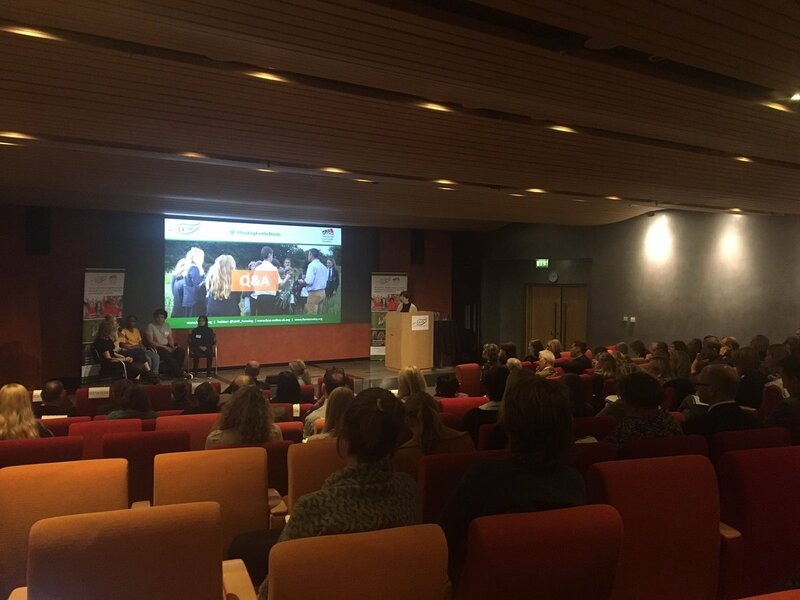 Sally Bendall, Hollow Trees Farm, Suffolk explains how she shares the magic of farming through farm visits. 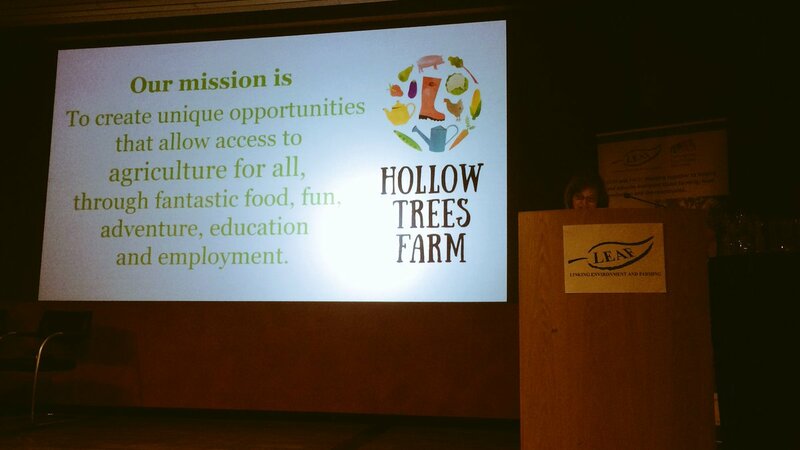 The farms mission is to create unique opportunities that allow access to agriculture for all, through fantastic food, fun, adventure, education and employment. 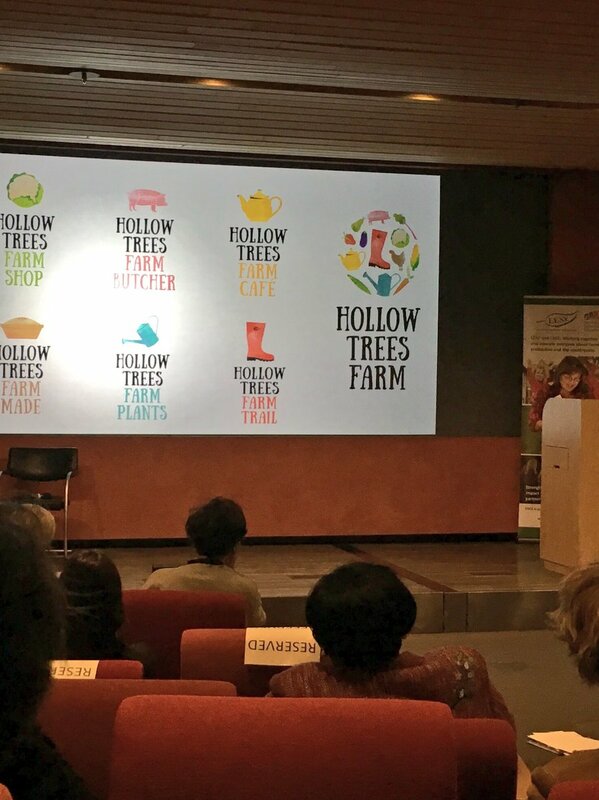 Huge number of initiatives running at Hollow Trees farm with children and young people - farm trails, food and farming student days, holiday visits, evening visits, guided and unguided. Working with individual needs of the group is essential. Ensure every group gets what they want out of the visit and it delivers value for money. 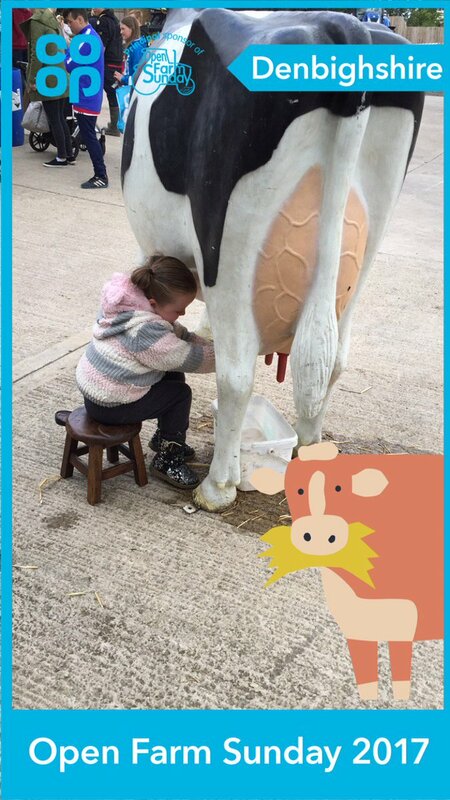 Earlier this year, implemented a strategy to attract more secondary school students - in the morning they spend a day on the farm, afternoon is in the farm shop. Google it - focus on internet learning rather than hands on. John Renner LEAF Demonstration Farmer, Northbellshill and Amerside Hill Farm shares his experience of reaching out to people through hands on farm visits. Get children interested as young as possible. Rural business needs to be promoted in schools as credible career choice. Training within schools could be more suitable to the workplace. Leigh Moris, Chief Exec, National Land Based College - the landscape is changing - Post16 Skills Plan outlines development pathways for further and higher skills. The whole steer for government is qualification and skills training for young people through an employer led perspective. Technical Qualifications (T Levels) is a new currency in further and higher education - all being employer led. T Levels are coming. Collaboration is key to rolling out the skills plan - now is the time. 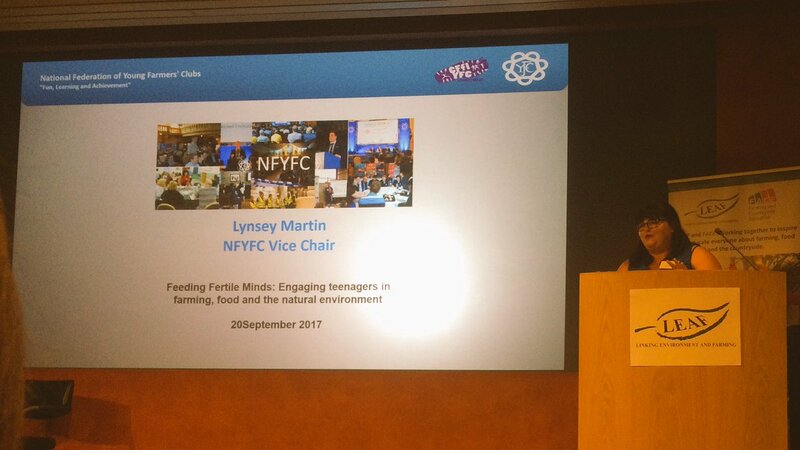 Lynsey Martin, Vice Chairman, National Federation of Young Farmers Clubs highlights how NFYFC is working with young people from urban and rural backgrounds to advance education and knowledge of agriculture, develop self reliance and individual responsibility and pay their part in the life of the NFYFC movement. 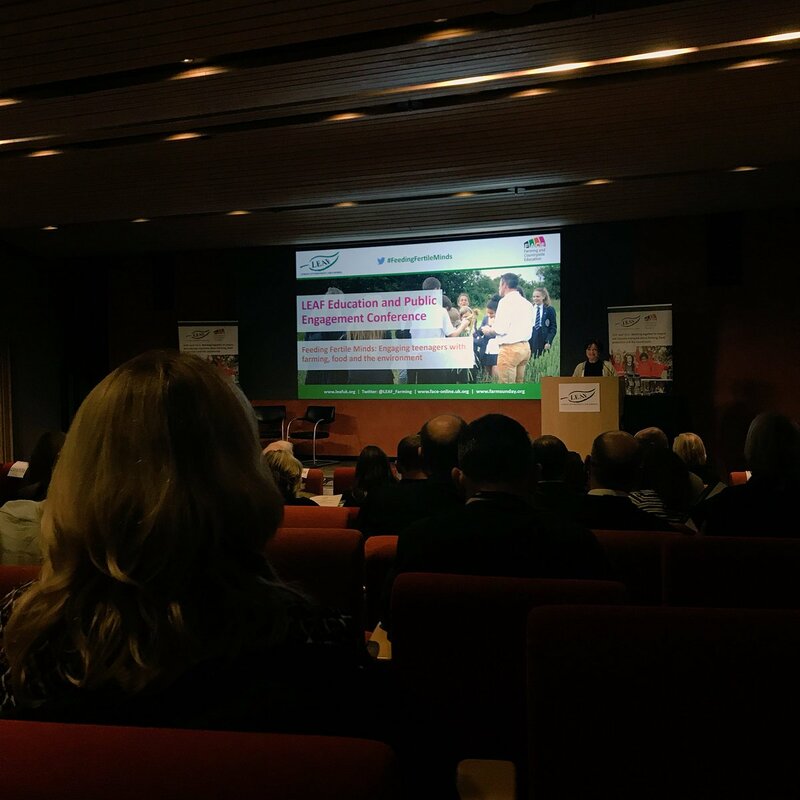 Donna Ashlee, Assistant Principal, Brockhill Park Performing Arts College shares her thoughts on the benefits of outdoor learning and how the school's award winning farm is being used to inspire teenagers about farming. It is used for delivering qualifications from year 7 to 13 and it is involved initiatives like Open Farm Sunday and NFYFC. It is central to the school curriculum. Donna Ashlee, Assistant Principal, Brockhill Park Performing Arts College: confidence, learning valuable skills, knowledge about the farming industry, are all benefits of the school farm experience. 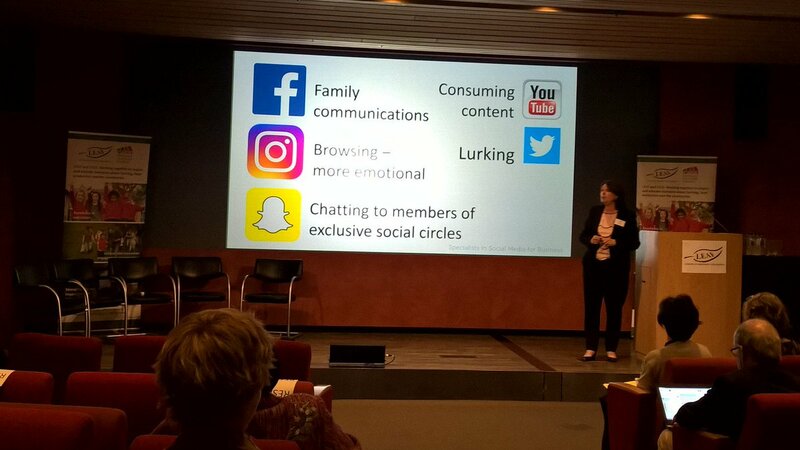 Alison Teare, Social Media Strategist, Social Jungle - 98% of all teens are on social media. Facebook is 13 years old. It is not where young people are. Teenagers do have a page on facebook but mainly for family communications. Teenagers are on Instagram browsing, creating a perfect version of themselves. 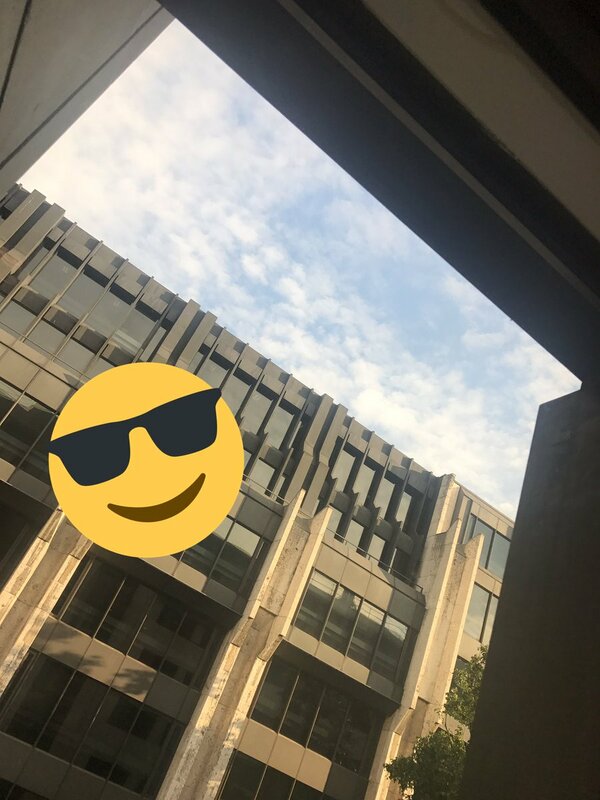 Snapchat - teenagers use snapchat to talk to friends. This is a very difficult platform for organisations to operate in. YouTube - teenagers are using YouTube to consumer content. Twitter - teenagers are on Twitter, but they are 'lurking'. Teenagers are interested in themselves. Social media is their social space. Therefore, avoid direct teaching. Be passionate and engaging. Get ahead by harnessing the power of social media. Requires commitment and needs to be taken social media seriously. Has to be placed at the top of the agenda, with a thought through agenda. Working together with organisations sharing similar objectives is a powerful way to build traction. Building alliances with channels that are meaningful to teenagers is the way forward (music festivals, BBC Radio 1). Get everyone bought into why social media is so important and powerful. As an industry have a single, unified hashtag - this will shout louder than separate hashtags. 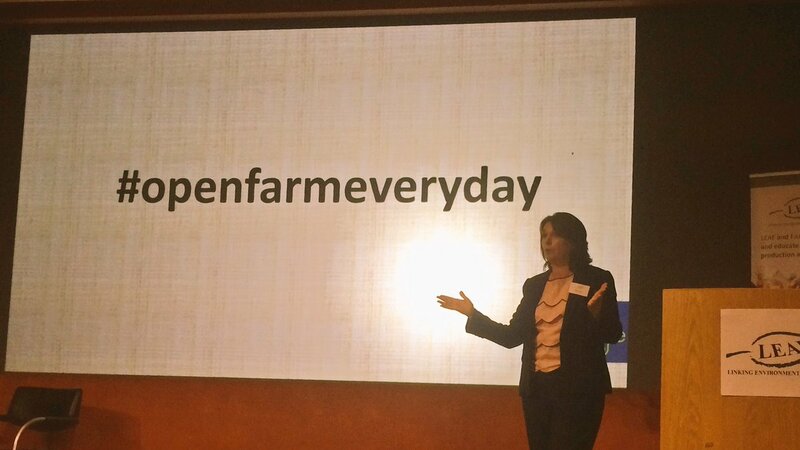 openfarmeeryday - should be what the industry strives for, not just one day a year. Embrace technology - use the latest technology for maximum reach. @Social__Jungle All of the above @Social__Jungle!! The whole industry needs to listen to the examples of engagement today. The merger with LEAF and FACE is an immense opportunity to take on this mantle on behalf of the whole industry. Social media engagement is a key priority for LEAF and making connections with middle and senior leadership in schools. We also need to make sure that we have got credible resources that meet demands of current educational needs. A good example here is Countryside Classroom. FACE last year worked with 1,500 trainee teachers - we are going to expand on this by working with top universities. A key priority audience for us is teenagers. We need to find out what they think of our industry. We must allow them to teach us as well. We need to consult more closely with them. We need to work together in partnership to make sure we are actively engaging with each other. Not duplicating work. 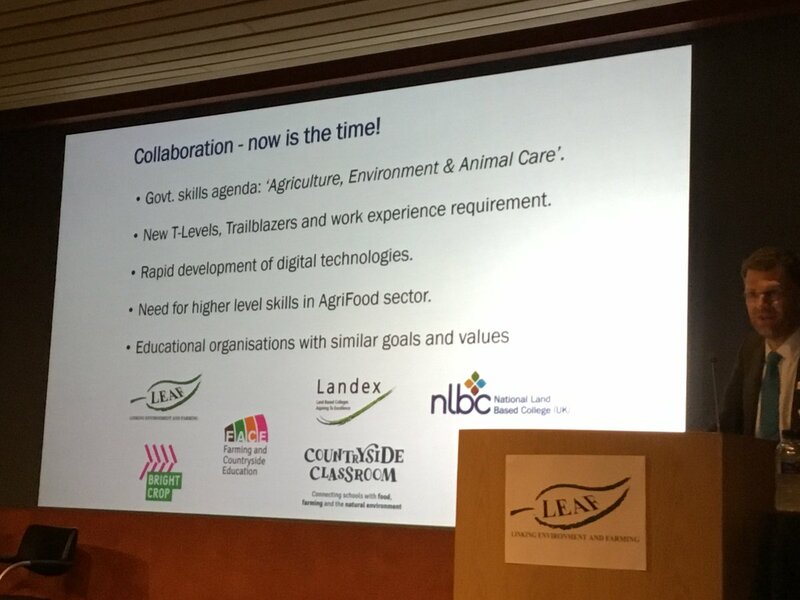 LEAF and FACE are ready to take the lead, working together as an industry to ensure we embed knowledge and understanding of farming, food and the environment into everyday life. Caroline Drummond, LEAF Chief Executive thanks speakers and delegates for their involvement in the day. 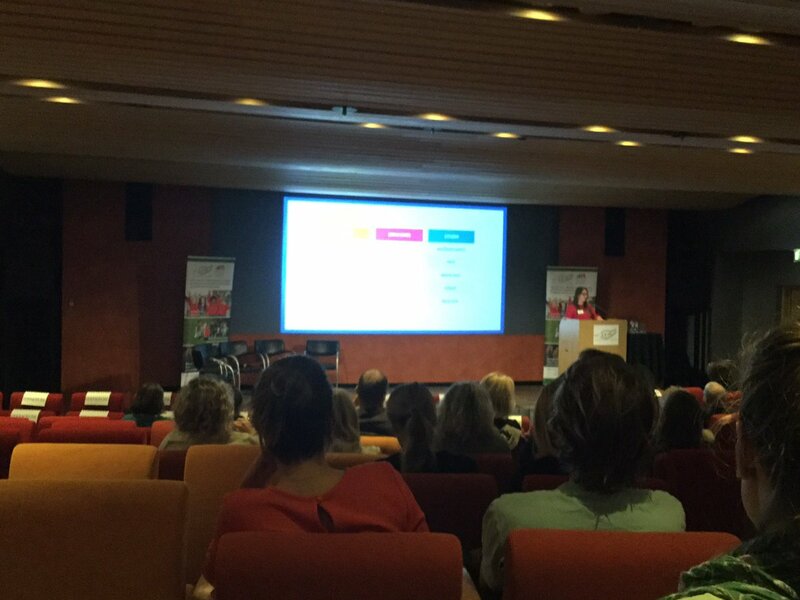 She asks everyone to contact LEAF with news ideas and inspirations to ensure the industry is taking a joined up approach to the challenges of reconnecting everyone with farming, food and the natural environment.